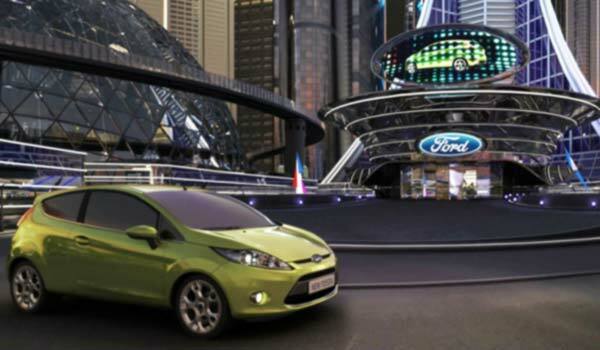 TALOS Creative was contacted to be part of an exciting project backed by Microsoft promoting the launch of the New Ford Fiesta. The brief was to a create and build a navigable 3D virtual city for an online web special that was part of a large marketing campaign titled ‘This is Now’. The campaign also involved Ogilvy Advertising, Mindshare, Bluehive, Wunderman, ITV, Selfridges and Theory7. The campaign was marketed as a lifestyle promotion featuring many other brands targeting specific demographics. TALOS Creative worked with award winning web company Theory7 to help conceptualize and build a huge stylized island city. The main city concept painting (below) was already created when we came on board and gave us the benchmark for the scale of the work and elegant style needed. Working under direction of Theory7 MD Nevil Slade, TALOS’ Lead Artist Gio Chronopoulos, worked for close to two months designing and building 6 of the 7 highly detailed areas you can visit in the city. This included conceptualising and modelling the main signpost scene in the centre of the city, the art district along with many additional sculptures on the route there, the Style Tree, the iconic Birmingham Selfridges building, plus many many smaller sections that connect all the main areas and around 50% of all the background buildings and skyscrapers. 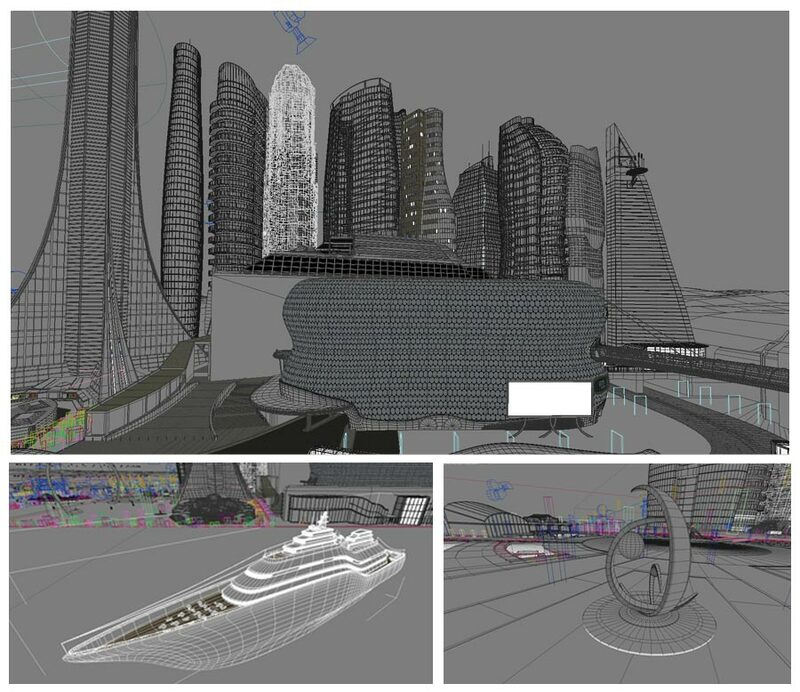 In addition some cruise ships were also designed and created and many other small features like basketball courts and rooftop helipads which are little details that hardly even get noticed in the final scenes but all help to sell the idea of a fully functioning city. The experience of working on the New Ford Fiesta launch was incredibly fulfilling as was the opportunity to work with some great and talented people.